A Sixth Sense? Magneto Receptive Humans??? Quote: It's part of our evolutionary history. Magnetoreception may be the primal sense. Kirschvink, Shimojo, and Matani’s idea is to apply a rotating magnetic field, similar in strength to Earth’s, and to check EEG recordings for a response in the brain. Finding one would not reveal the magneto-receptors themselves, but it would prove that such a sense exists, with no need to interpret often-ambiguous human behavior. The experiments began at the end of 2014. Kirschvink was human subject No. 1. No. 19 is Matsuda, on loan from Matani’s lab, which is replicating the experiment in Tokyo with a similar setup. Matsuda signs a consent form and is led into the box by the technician, who carries the EEG wires like the train of a wedding veil. “Are we ready to start?” the technician asks, after plugging in the electrodes. Matsuda nods grimly. “All right, I’ll shut the box.” He lowers the flap of aluminum, turns off the lights, and shuts the door. Piped into the box is Kirschvink’s nasal, raspy voice. “Don’t fall asleep,” he says. Kirschvink also found a signal when the applied field yawed into the floor, as if the subject had looked up. He does not understand why the α wave signal occurred with up-down and counterclockwise changes, but not the opposite, although he takes it as a sign of the polarity of the human magnetic compass. “My talk went *really* well,” he wrote jubilantly in an email afterwards. Two months later, in June, Kirschvink is in Japan, crunching data and hammering out experimental differences with Matani’s group. “Alice in Wonderland, down the rabbit hole, that’s what it feels like,” he says. Matani is using a similarly shielded setup, except his cage and coils are smaller—just big enough to encompass the heads of subjects, who must lie on their backs. Yet this team, too, is starting to see repeatable EEG effects. Magneto Receptive needless to say, Improv is always fresh like today's headlines. Quote: "There are still a lot of unknown mysteries in magnetism," Chesnel said. "Scientists are still trying to understand the nature of magnetism, the origin of magnetism and what's causing it." Chesnel is one of those scientists. Her specific area of study includes magnetic behaviors occurring on a microscopic scale, also known as nanomagnetism. Here's the issue: Scientists are able to reconstruct the planet's magnetic record through analysis of ancient rocks that still bear a signature of the magnetic polarity of the era in which they were formed. This record suggests that the field has been active and dipolar—having two poles—through much of our planet's history. The geological record also doesn't show much evidence for major changes in the intensity of the ancient magnetic field over the past 4 billion years. A critical exception is in the Neoproterozoic Era, 0.5 to 1 billion years ago, where gaps in the intensity record and anomalous directions exist. Could this exception be explained by a major event like the solidification of the planet's inner core? In order to address this question, Driscoll modeled the planet's thermal history going back 4.5 billion years. His models indicate that the inner core should have begun to solidify around 650 million years ago. Using further 3-D dynamo simulations, which model the generation of magnetic field by turbulent fluid motions, Driscoll looked more carefully at the expected changes in the magnetic field over this period. "What I found was a surprising amount of variability," Driscoll said. "These new models do not support the assumption of a stable dipole field at all times, contrary to what we'd previously believed." His results showed that around 1 billion years ago, Earth could have transitioned from a modern-looking field, having a "strong" magnetic field with two opposite poles in the north and south of the planet, to having a "weak" magnetic field that fluctuated wildly in terms of intensity and direction and originated from several poles. Then, shortly after the predicted timing of the core solidification event, Driscoll's dynamo simulations predict that Earth's magnetic field transitioned back to a "strong," two-pole one. "These findings could offer an explanation for the bizarre fluctuations in magnetic field direction seen in the geologic record around 600 to 700 million years ago," Driscoll added. "And there are widespread implications for such dramatic field changes." Overall, the findings have major implications for Earth's thermal and magnetic history, particularly when it comes to how magnetic measurements are used to reconstruct continental motions and ancient climates. Driscoll's modeling and simulations will have to be compared with future data gleaned from high quality magnetized rocks to assess the viability of the new hypothesis. Dr. Karine Chesnel has always been fascinated with understanding how things work, particularly the secrets of magnetism. "There are still a lot of unknown mysteries in magnetism," Chesnel said. "Scientists are still trying to understand the nature of magnetism, the origin of magnetism and what's causing it." To study nanomagnetism, Chesnel uses synchrotron radiation facilities, which are a special kind of particle accelerators. In these machines, magnetic fields and electric fields are synchronized with the particle beam so to produce x-rays of very high brilliance. This unique x-ray beam is very useful to probe nanomagnetism. After years of work at synchrotron facilities, Chesnel has discovered how to control a phenomenon called "magnetic domain memory," which may have applications in magnetic data storage. Information and data is saved to a computer hard drive using small, thin metallic films that possess magnetic properties. Chesnel found that as she cooled such film under different strengths of magnetic fields, the film's capacity to keep memory of its magnetic state was greatly affected. If the film is cooled in a weak or moderate magnetic field, the memory is strong. But if the film is cooled down in a strong magnetic field, the memory capacity of the film is lost. 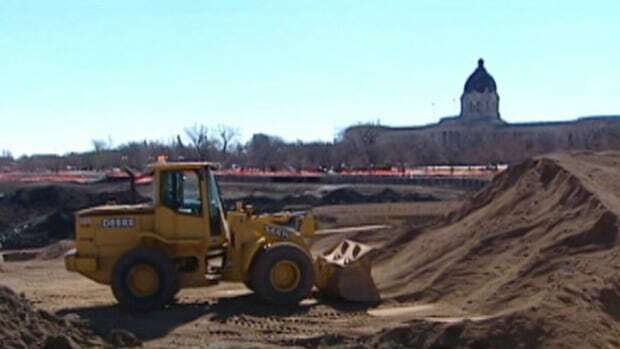 "It's a result of years of work, literally," Chesnel said. "The results are exciting in terms of discovering how we can control this phenomenon." The research was published in that latest issue of top science journal Nature Communications. Chesnel earned her doctoral degrees in her native country of France before completing a post-doctorate at UC Berkley and accepting her first teaching position at BYU in 2008. She admits teaching physics at a university in a second language can be daunting, but hopes her different background can help broaden students' perspectives. now providing a "matched set" of magnetic quasicrystals and their closely related periodic cousins. extended to the unique design of quasicrystals. "You can have antiferromagnets or ferromagnets in the crystalline or periodic example. You have a disordered magnet or spin glass with the amorphous system. This is known. But with quasicrystals, you have an aperiodic arrangement. Will it affect the magnetism in some weird or novel way? It's a strange environment for magnetism." one of the signatures of quasicrystals. 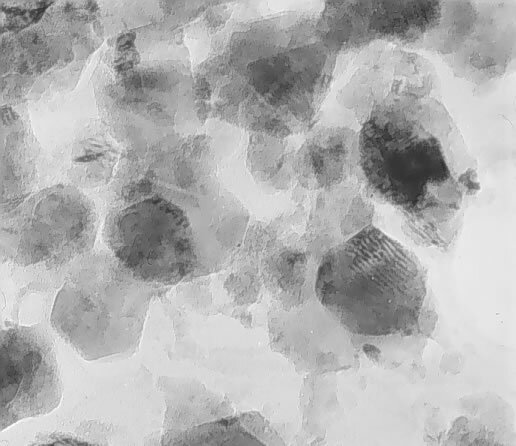 Goldman's x-ray scattering work confirmed the material as a quasicrystal. In the rare earth cadmium approximants, there is magnetic order. similar to the magnetic behavior in amorphous materials. with the beam parallel to the five-fold axis. Allan Hills 84001 (commonly abbreviated ALH84001[url=https://en.wikipedia.org/wiki/Allan_Hills_84001#cite_note-database-1]) is a meteorite that was found in Allan Hills, Antarctica on December 27, 1984 by a team of U.S. meteorite hunters from the ANSMET project. Like other members of the group of SNCs (shergottite, nakhlite, chassignite), ALH84001 is thought to be from Mars. However, it does not fit into any of the previously discovered SNC groups. On discovery, its mass was 1.93 kilograms (4.3 lb). It made its way into headlines worldwide in 1996 when scientists announced that it might contain evidence for microscopic fossils of Martian bacteria based on carbonate globules observed. The first kind of evidence for fossil life in ALH 84001 is some very small mineral grains inside the carbonate globules, as in this image, which is an extreme close-up of one of the dark bands in a carbonate globule (slide #22), made with a transmission electron microscope. The scale bar in the image is 20 nanometers long, or 20 millionths of a millimeter. The dark spots are grains of the iron oxide mineral magnetite (Fe3O4). Light does not go through magnetite, so the areas with these grains appear dark (slide #22) through a light microscope. McKay and his co-workers showed that these magnetite grains (and similar iron sulfide grains) in ALH 84001 are similar to some produced by bacteria on Earth, so they suggest that these mineral grains in ALH 84001 may have been produced by martian bacteria. To show that the mineral grains might be products of martian bacteria, McKay and co- workers present evidence that the mineral grains did form on Mars, and that they have chemical compositions, crystal structures, sizes, and shapes like biologically produced grains on Earth. There is little doubt that the little magnetite and iron sulfide grains did not form on Earth, and so are martian. And there is also little doubt that grains of these minerals have been (and are being) made by bacteria on Earth. For instance, some bacteria make little magnetite grains, which are magnetic, as compasses to align themselves with the Earth's magnetic field. They use the magnetic field to aim themselves up or down. However, similar mineral grains can grow without any action from living organisms. No one knows yet whether these iron oxide and sulfide minerals can grow in carbonate minerals without assistance from life. Quote: Before the new work, opal had only once been found in a meteorite, as a handful of tiny crystals in a meteorite from Mars. Planetary scientists have discovered pieces of opal in a meteorite found in Antarctica, a result that demonstrates that meteorites delivered water ice to asteroids early in the history of the solar system. Led by Professor Hilary Downes of Birkbeck College London, the team announce their results at the National Astronomy Meeting in Nottingham on Monday 27 June. Opal, familiar on Earth as a precious stone used in jewellery, is made up of silica (the major component of sand) with up to 30% water in its structure, and has not yet been identified on the surface of any asteroid. Before the new work, opal had only once been found in a meteorite, as a handful of tiny crystals in a meteorite from Mars. Downes and her team studied the meteorite, named EET 83309, an object made up of thousands and broken pieces of rock and minerals, meaning that it originally came from the broken up surface, or regolith, of an asteroid. Results from other teams show that while the meteorite was still part of the asteroid, it was exposed to radiation from the Sun, the so-called solar wind, and from other cosmic sources. Asteroids lack the protection of an atmosphere, so radiation hits their surfaces all the time. EET 83309 has fragments of many other kinds of meteorite embedded in it, showing that there were many impacts on the surface of the parent asteroid, bringing pieces of rock from elsewhere in the solar system. Downes believes one of these impacts brought water ice to the surface of the asteroid, allowing the opal to form. She comments: "The pieces of opal we have found are either broken fragments or they are replacing other minerals. Our evidence shows that the opal formed before the meteorite was blasted off from the surface of the parent asteroid and sent into space, eventually to land on Earth in Antarctica." "This is more evidence that meteorites and asteroids can carry large amounts of water ice. Although we rightly worry about the consequences of the impact of large asteroid, billions of years ago they may have brought the water to the Earth and helped it become the world teeming with life that we live in today." The team used different techniques to analyse the opal and check its composition. They see convincing evidence that it is extra-terrestrial in origin, and did not form while the meteorite was sitting in the Antarctic ice. For example, using the NanoSims instrument at the Open University, they can see that although the opal has interacted to some extent with water in the Antarctic, the isotopes (different forms of the same element) match the other minerals in the original meteorite. (Medical Xpress)—A team of researchers working at Texas A&M University has found that people playing with physical magnets can come to feel closer to their romantic partner. In their paper posted on the open access sitePLOS ONE, the team describes two nearly identical experiments they conducted with volunteers, their results and why they believe they have found an incidence of social priming. Social priming is a form experimentation where volunteers are "primed' with certain information, then tested to see if the priming has had any effect on their feelings or behavior regarding something else. Such experiments have, the researchers note, been subjected to criticism in the psychology community of late due to the high number of studies that released results that proved to be unrepeatable by others. In this new effort, the researchers sought to address that problem by conducting essentially the same experiment twice. The first experiment consisted of asking 120 male and female students who were currently in a romantic relationship with someone, to sit and play with some blocks on a table—unbeknownst to the volunteers they had been divided into three groups—one group played with blocks that were magnetically attractive, another with blocks that were magnetically repellant and the third with blocks with no magnetic traits. All three groups were then asked to take a survey regarding their perception of the degree of romance in their relationships. After studying the data, the researchers found that those volunteers who had played with the magnetically attractive blocks reported having stronger feelings of love and attachment to their romantic partners, than people in the other two groups. The second experiment was identical to the first except that there were 150 volunteers and only two groups; those playing with attractive blocks and those with repellant blocks. The researchers found that those that had played with the attractive blocks once again reported feeling more connected to their romantic partner than the other group. They noted that the second group reported less feelings of commitment, however, which the researchers suggested could be chalked up to the experiment being conducted later in the school year. This study, the team reports, suggests that people take the metaphor of attraction between lovers as somewhat literal and because of that, when they take part in a demonstration of magnetic attraction, they are reminded of their attraction to their romantic partner. They do acknowledge that their experiment does not provide evidence of how or why the effect came about, though they do discuss several theoretical possibilities. The psychological state of love is difficult to define, and we often rely on metaphors to communicate about this state and its constituent experiences. Commonly, these metaphors liken love to a physical force—it sweeps us off our feet, causes sparks to fly, and ignites flames of passion. Even the use of "attraction" to refer to romantic interest, commonplace in both popular and scholarly discourse, implies a force propelling two objects together. The present research examined the effects of exposing participants to a physical force (magnetism) on subsequent judgments of romantic outcomes. Across two studies, participants exposed to magnets reported greater levels of satisfaction, attraction, intimacy, and commitment. -- in other words, if you turn the material in a magnetic field, the superconductivity isn't the same everywhere in the material. Electrical resistance R, measured for different temperatures. The applied magnetic field rotates in the plane of the layered superconductor. The plot shows that the rotational symmetry is broken. Researchers from the Foundation for Fundamental Research on Matter (FOM), the University of Amsterdam (UvA) and the Institute for Materials Science in Tsukuba (Japan) have discovered an exceptional new quantum state within a superconducting material. This exceptional quantum state is characterised by a broken rotational symmetry -- in other words, if you turn the material in a magnetic field, the superconductivity isn't the same everywhere in the material. The material in which the new quantum state was discovered is bismuth selenide, or Bi2Se3. This material is a topological isolator. This group of materials exhibits a strange quality: they don't conduct electricity on the inside, but only on their surface. What's more, the researchers are able to make the material even more exceptional -- by adding a small amount of strontium to the bismuth-selenide, the material transforms into a superconductor. This means the material can conduct electricity extremely well at low temperatures because the electrical resistance has completely disappeared. Superconductivity can be explained by the behaviour of electrons within the material. In a superconductor, certain electrons seek a mate and combine into pairs. These pairs, so-called Cooper pairs, can move through the material without resistance or a loss of energy. The research team placed the material in a magnetic field that suppresses the superconducting properties of the material. Bismuth selenide has a layered crystalline structure, and the magnetic field the researchers used was directed parallel to the plane of these layers. Usually, it makes no difference in which direction the magnetic field points because the suppression is the same in all directions. However, the researchers discovered that this isn't the case with their exceptional material. When they turned the magnetic field in the plane of the layers, they discovered that the superconductivity was suppressed to a greater and to a lesser extent, depending on the direction in which the field pointed. In other words, the material's rotational symmetry was broken. The phenomenon of broken symmetry can only be explained if the electrons in this material form special Cooper pairs, namely spin-triplet pairs, instead of the usual spin-singlet pairs. Such Cooper pairs can adopt a preferred direction within the crystal. The UvA researchers in the team are Dr Anne Visser and Dr Yingkai Huang, both of whom are affiliated to the Quantum Electron Matter group of the UvA's Van der Waals-Zeeman Institute. The FOM is represented by PhD researchers Yu Pan and Artem Nikitin. The team points out that the discovery of this exceptional material forms a unique laboratory tool. The superconductor will allow physicists to study the exceptional quantum effects of topological superconductivity. Universiteit van Amsterdam (UVA). "Superconductor’s strange behavior results in new laboratory tool." ScienceDaily. ScienceDaily, 28 June 2016. <www.sciencedaily.com/releases/2016/06/160628110032.htm>. combining a tin foil hat and...WTF !...magnetic pogo stick ? We have balance sensors in our inner ear that describe up or down. We have innate hard-wired Visual Horizon indicators. I doubt you can taste or smell a direction and Unless there really is something to 'dowsing' i doubt you can touch the feild. Why not have an inner-GPS? Quote: Wrote: The maximum violation of a quantum inequality is the quantum bound. in the Mars pentad and hexad mound configurations in Cydonia. and had to with the "microscopic origin of macroscopic magnetism". Migrating birds may find their way using sensitive quantum mechanical compasses. “At first sight, you wouldn’t expect any chemical reaction to be affected by a magnetic field as weak as the Earth’s,” says study coauthor Peter Hore, a chemist at the University of Oxford. Quantum properties can strengthen a cryptochrome’s magnetic sensitivity, but their effect sticks around only for tiny fractions of a second. Any chemical reactions that could signal the bird would have to happen fast enough to skirt this breakdown. But Hore and colleagues’ new simulations of the inner workings of cryptochromes show that a little bit of quantum deterioration can actually enhance the strength of the magnetic field’s effect on the chemical reactions. According to scientists’ theories, light striking a cryptochrome produces a pair of radicals — molecules with a lonely singleton electron. These unpartnered electrons feel the tug of magnetic fields, thanks to a quantum property known as spin, which makes them behave a bit like tiny bar magnets. But those minuscule magnets are not enough to serve as a compass on their own — instead, the electrons’ magnetic sensitivity is the result of a strange quantum dance. The two radicals’ electrons can spin either in the same direction or opposite directions. But rather than choosing one of these two options, the electrons pick both at once — a condition known as a quantum superposition. Quantum mechanics can describe only the odds that the electrons would be found in each configuration if forced to choose. As time passes, these probabilities oscillate up and down in a pattern that is swayed by Earth’s magnetic field. These oscillations in turn affect the rate of further chemical reactions — the details of which are not well understood — which signal to the bird which direction it’s facing. These chemical reactions must happen quickly. As the electrons interact with their environment, their coordinated oscillations dissipate, weakening their magnetic sensitivity. But Hore and colleagues show that this isn’t the complete picture — some loss of quantumness can help birds navigate. “Not only does it not hurt the compass signal, it can make it stronger,” says physicist Erik Gauger of Heriot-Watt University in Edinburgh, who was not involved with the research. That’s because the direction of the magnetic field also determines how quickly electrons lose their coordination, further enhancing the difference in the chemical reaction rates based on the bird’s direction in the magnetic field. So the magnetic field does double duty: It affects chemical reaction rates by altering the oscillating states of the electrons and by determining when they break off their oscillation. Although similar types of sensitivity-boosting effects have been suggested before, they weren’t based on a cryptochrome model, says Gauger. D.R. Kattnig et al. Electron spin relaxation can enhance the performance of a cryptochrome-based magnetic compass sensor. New Journal of Physics. Vol. 18, June 2016, p. 063007. doi: 10.1088/1367-2630/18/6/063007. EA...have you read about a SQUID...Superconducting QUantum Interference Device? It's supposed to be sensitive to ultra-subtle magnetic fields. I read about it in Sci. American a long time ago. This is magneto-news to me... read on. Quote: A fascinating example of such a non-radiating source is known as an anapole—a distribution of charges and currents that does not radiate or interact with external electromagnetic fields. A new optical effect in nanoscale disks of silicon, namely patterns of radiation that do not emit or scatter light, has been observed by A*STAR researchers and international collaborators. These modes, which have never before been observed at visible wavelengths, could be used in tiny lasers that are not much bigger than viruses. maybe even on ebay, etc! People can detect a flash of light as minute as a single photon, Scientific American reports. In the experiment—published in Nature Communications—participants would hear two sounds after pushing a button, some of the sounds accompanied by a photon, others not. When asked when they thought they saw a photon, the participants were able to answer correctly more frequently than if they were guessing at random. Some researchers are unsure how conclusive the experiment is, however, because all of the participants were male, and men and women have different physiologies. Quote: Some researchers are unsure how conclusive the experiment is, however, because all of the participants were male, and men and women have different physiologies. KNOWING this, why no women were included should be scientific fraud. Not to mention sexist, or even more disturbing; then did on purpose to get more $$ for funding a new study with just women pubilish that reselt with same caveat , then request more $$ funding for a mixed group. Why so many studies show crossing results, and science funding if getting /$. Allah peanut butter sandwiches...and never tow the line. Imagine you're navigating a city like New York, or any other that's laid out on a grid. Suppose you run into a roadblock as you're heading north. How do you know that you can turn to your left, say, and then take a right at the next intersection to continue in your original direction? According to research from the University of California San Diego, it may be thanks to some newly identified neurons in an area of your brain called the subiculum. In a paper published by Nature Neuroscience, the researchers say they have found neurons that help an animal align itself within a cognitive map of its environment. Working with rats, the researchers observe that cells in the subiculum seem to encode an animal's current axis of travel. The neurons signal "I'm on this line, in this orientation." "We're describing an entirely new and unexpected form of neural activity," said senior author Douglas Nitz, a professor of cognitive science in the UC San Diego Division of Social Sciences. "The cells fire when the animal travels in either direction along a single axis." The rats ran on six interconnected routes much like a city grid, and the researchers took recordings from single neurons in the subiculum. Neurons that the researchers have dubbed "axis-tuned" fired when the animal traveled in either direction on a particular line - one of these firing, for example, when the animal moved north to south or south to north, but staying quiet for east-west. Others were activated for other lines of travel. "The novel representation here is that the rat is mentally grouping these different locations," said first author and UC San Diego Department of Cognitive Science Ph.D. student Jacob Olson. "Functionally, the routes are all the same, and what the axis-tuned neuron appears to do is encode the functional similarity among different paths. It encodes how multiple pathways are oriented to each other and connected." Like humans, Nitz said, rats tend to create and travel on pathways. But the researchers also checked if these neurons worked during open-field foraging. They did not. They fired only when the rats were traveling on paths. The neurons appear to be distinct from head direction cells discovered earlier, the researchers write, for two reasons: Head direction neurons fire when an animal's head is pointed a certain way but not in the opposite direction. They also fire in an open field. The axis-tuned cells account for about 10 percent of the subiculum neurons, the researchers estimate. The subiculum is one of the primary outputs of the hippocampus, they note, a region of the brain known to be involved in orientation, location and episodic memory. But what kind of signal the subiculum produces has been a bit of mystery. "This neural activity is a brand new kid on the block in a rich field of literature," said Nitz. The axis-tuned cell adds to what we already know about orientation encoding in the brain, he said, and takes its place among other cells important to navigation and orientation: place cells, grid cells and head direction cells. Next steps for the research include studies on how much experience a rat needs with a path before the axis-tunedcells begin functioning, and on whether the representations show up in humans as well. they might be unusable in such an experiment. Men destroy life only women can create it. A question that I have considered for several years, tho finding the answer would be quite simple and easy to do, it's practical application is no longer something I could do in the field. And I'm lazy. Here is the question as best I can explain it. If a magnet is slowly lowered above a magnetic object it is strong enough to pick up, will the magnet lower the recordable weight of that object 'before' it entirely overcomes it's weight and lifts/grabs the object? Will it instead exert no change in the magnetic object's stability before actually lifting it at once? I would think there is a singular moment where the weight is coupled to the magnet above and doesn't lose itz weight but just transfers it to the larger system making it heavier as a whole. Ya know, I did a search and couldn't find anything that really answered that question. Now the question seems strictly academic, but it may have profound implications for fine gold recovery in sluice boxes. As material is fed into a sluice box, that box must be at a certain angle, the flow of water moving the material must be at a certain volume and speed to move all of the material across the riffles in the sluice box. The material is of three main types. The heaviest being gold or platinum. The next would be 'Black Sands' and then the Blond sands. What tends to happen in a sluice box is the magnetic 'Black Sands' will soon clog the gold trapping riffles, so the riffles are designed at a steeper angle of drop, coupled with a fast/heavier flow of water to clear the riffles in the sluice box, so as to leave room for them to trap the heavier, larger pieces of gold. Now, if the riffles could be kept clean of the 'Black Sands' by reducing their actual weight magnetically, so reduced flows of water could push it down the length of short riffles without grabbing the sands (and thereby coating the magnets with that material) while at the same time reducing the angle of the box, those reduced flows of water over the riffles would not only push the 'Black' sands, but also the 'Blond' sands out so even the Super Micro fine gold particles could fall out of the water flow behind the riffles, rather than riding over the top of the Black Sand clogged riffles, massive amounts of this micro gold could at last be recovered that all previous attempts failed to recover in times past. Some rivers are known to have very much 'Unrecoverable fine gold' throughout their materials. Researchers recently developed an electronic skin with tiny, cobalt microwires embedded in it. The tiny hairs allow the skin to sense the slightest sensations, which could pave the way for prosthetic limbs that allow the wearer to "feel" their way around. Robots that are capable of "feeling" their way around the world, thanks to hairy electronic skin, could be one step closer to reality, according to a new study. Teensy electronic hairs, which sense minute vibrations through changes in their magnetic field, not only give robots a supersense of touch, but could also give people withprosthetic limbs a better feel for their surroundings, the researchers said. In recent years, many research groups around the globe have made great strides in developing bionic arms and legs that could help patients replace lost limbs. Sscientists are also developing "electronic skin" — thin, stretchy material that is packed with electronics that aim toreplicate the sensory capabilities of real skin. The tactile sensation that electronic skins have imparted has been limited however, so Hao was looking for ways to improve the technology. Hao was inspired to make electronic skin "hairy" when he was playing with his daughter, "who tried to gently touch my arm," he saild Live Science. "I realized that hairy skin was just what I was looking for." That’s because human skin relies on hair for its exquisite sense of touch. For instance, fine hair, which covers 95 percent of the human body, helps people feel the slightest breeze, Hao said. To mimic the human sense of touch, the team built artificial hairs using magnetic cobalt-based microwires — commonly used, durable filaments that are as flexible as human hairs — the researchers wrote in the study, which was published online Nov. 25 in the journal ACS Applied Materials & Interfaces. The researchers found that minute pressure changes altered the orientation of magnetic particles in the microwires, influencing the electrical fields in nearby sensors. AS such, the sensors could detect tiny physical disturbances. The scientists embedded their artificial hairs in silicone rubber. In experiments, this synthetic, hairy skin could detect pressures that were induced by a 5.6-lb. (2.55 kilogram) weight and a fly that only weighed about 0.0005 ounces (0.015 grams). The hairs also detected light breezes that had a wind speed of just 6.7 mph (10.8 km/h). In addition, the magnetic microwires could reveal whether materials touching the electronic skin were magnetic or were electrically insulating or conducting. The electronic skin also proved to be durable, showing no signs of wear even after 10,000 cycles of having a 2.2-lb. (1 kg) weight applied on it. On the question of magneto-reception in avians I post this because it jibes with what eye have seen. I had put it down to ...errr ummm - the magnetic poles were gonna flip??? 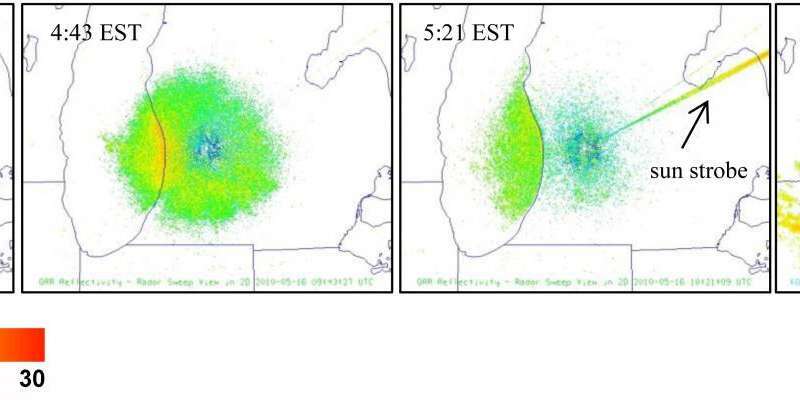 Kevin Archibald and Jeff Buler of the University of Delaware and their colleagues turned the U.S.'s powerful network of weather surveillance radar stations on birds heading north across the Great Lakes during their spring migration. As dawn approaches, their data show, birds caught over water increase their elevation and often turn back. This leads to a pileup of birds in near-shore stopover habitat—the density of birds taking off from the southern shores of the Great Lakes on subsequent spring evenings was 48% higher than on the northern shores. Here is ANOTHER reason why birds seem to not be following a 'compass' exactly? 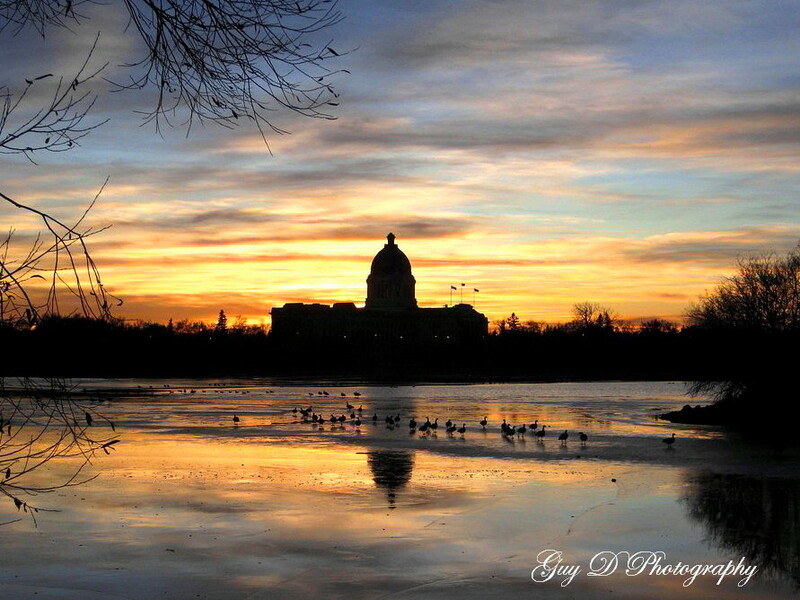 Movement of migratory birds is closely linked to seasonal availability of resources. The birds locate the areas with the most resources across continents. Researchers from the Center for Macroecology, Evolution and Climate, University of Copenhagen, have tracked three long-distance migratory birds. By comparing their migration routes to climate projections, the scientists show that finding food may become a challenge to the birds by the end of this century. Migratory birds need to schedule their annual trips properly in order to reach areas with sufficient food resources during wintering. A new paper published today in Science Advances shows that common cuckoos, red-backed shrikes and thrush nightingale closely follow the complex seasonal vegetation changes occurring within their non-breeding grounds in sub-Saharan Africa. Bird migration researcher and first author Professor Kasper Thorup from the University of Copenhagen says, "We show that all three birds cross continents to match highest levels of resource supply. The bird's migration program guides them to areas where food availability has been high in the past. So what is interesting now is the bird's ability to adjust their migration patterns to match future changes in food availability." In total, 38 individual birds were tracked to establish the migration routes. 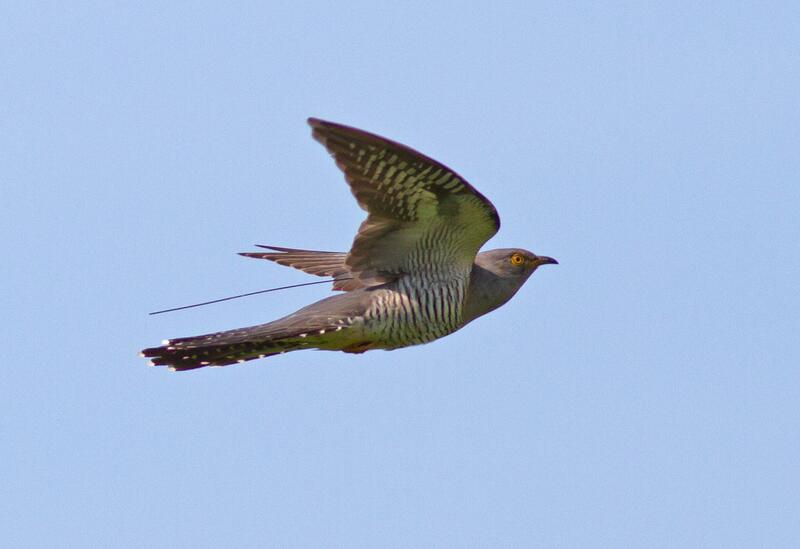 The common cuckoo was tracked using satellite tracking, while the smaller red-backed shrikes and thrush nightingale were tracked using light loggers. Thorup explains, "All three species have complex migration routes covering large parts of Europe and Africa with many stops along their way. 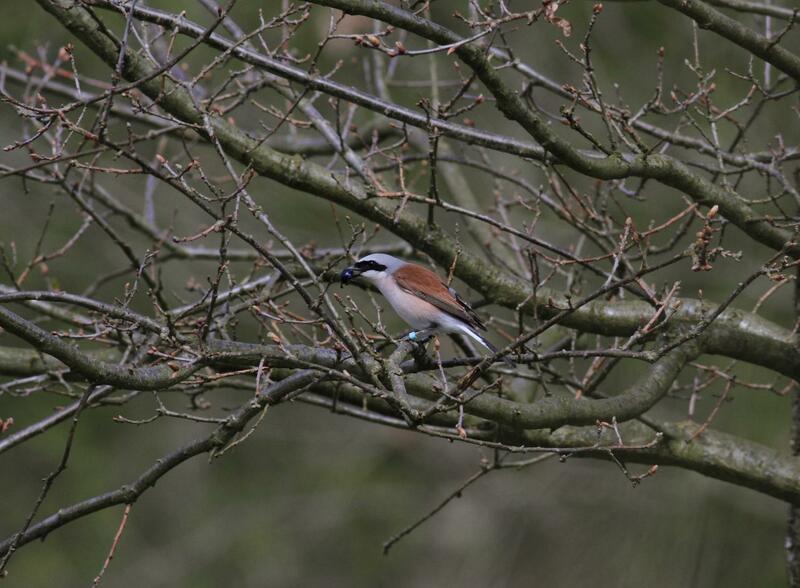 Mapping their routes has only been possible using the newest available technology from satellite telemetry in cuckoos to small tags that log light-levels in red-backed shrikes and thrush nightingales." The study shows that the migration pattern in cuckoos matched high levels of green vegetation, whereas migration matched local vegetation peaks for red-backed shrikes and nightingales. Both green vegetation and vegetation peaks are presumably related to abundant food availability. The scientist compared the observed migration route to projections of food availability for 2080. This showed a mismatch between seasonal resources and the birds' expected presence. 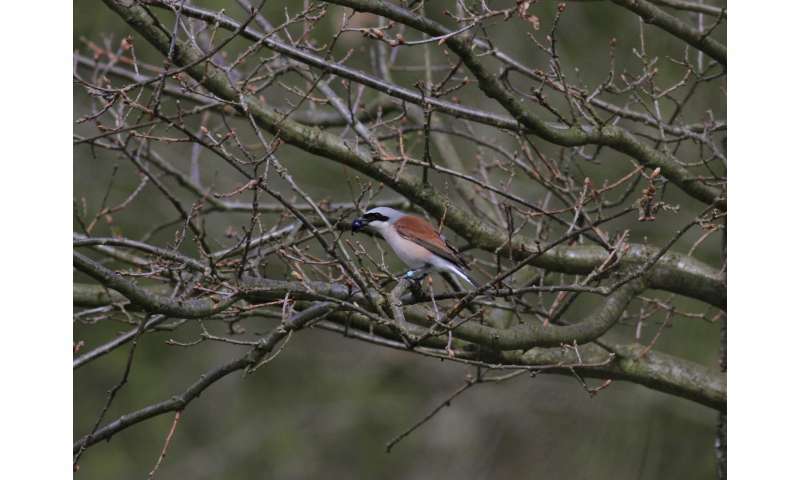 Co-author Professor Carsten Rahbek from Center for Macroecology, Evolution and Climate says, "We believe that birds' innate programmes to guide them over long distances must be adapted to the long-term average of food availability. Our results suggest that by the end of this century, climate change and other impacts on the food source like land use changes could negatively influence the birds' chances to find sufficient food." lastly I post this. 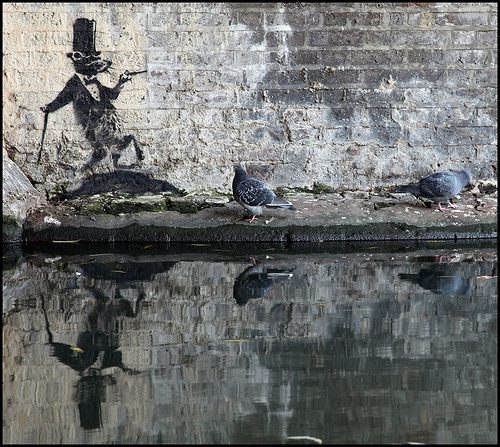 What if birds are not exactly magneto-receptive but visually acute and spatio-temporally savants? Toss this in there too>>> Diamonds and Ducks are both "Carbon based units"
" ...reactions that could signal the bird would have to happen fast enough to skirt this breakdown." Introducing the lentiformis mesencephalic, or LM for short. Have you ever imagined what the world must look like to hummingbirds as they zoom about at speeds of up to 60 miles per hour? According to new evidence on the way the hummingbird brain processes visual signals reported in Current Biology on January 5, you can't. That's because a key area of the hummingbird's brain processes motion in a unique and unexpected way. "In all four-limbed vertebrates studied to date, most of the neurons in this [motion-detecting] brain area are tuned to detect motion coming from behind, such as would occur for an impending collision or when being attacked from behind by a predator," says Douglas Altshuler of the University of British Columbia. "We found that this brain area responds very differently in hummingbirds. Instead of most neurons being tuned to back-to-front motion, almost every neuron we found was tuned to a different direction. We also found that these neurons were most responsive to very fast motion." The brain area in question is known in birds as the lentiformis mesencephalic, or LM for short. (In mammals, it's called the nucleus of the optic tract.) The LM is responsible for processing visual signals sent to the brain as images move across the retina. The primary interest of the Altshuler lab is in understanding flight. To understand how birds fly, the researchers needed to understand how they see the world. Hummingbirds were of special interest because of their remarkable ability to zoom quickly and then stop to hover in place while sipping nectar in midair. Earlier studies showed that the LM in hummingbirds is enlarged in comparison to that of other birds. Scientists also knew that hummingbirds monitor and correct for any minor drift in their position as they hover. Those findings had led researchers to suggest that the hummingbird brain might be specially attuned to pick up on slow movements. 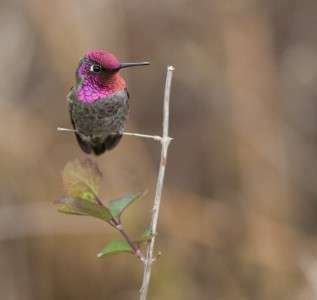 To test that hypothesis in the new study, post-doc and first author of the new study Andrea Gaede recorded neural activity in the LMs of six Anna's hummingbirds and ten zebra finches as the birds watched computer-generated dots move in various directions. Contrary to expectations, the recordings showed that hummingbirds are most sensitive to fast visual motion. What's more, unlike other birds, the hummingbirds responded to movement in any direction about equally. That is, their LM neurons aren't specially attuned to movements in the forward direction as in other animals. The researchers suggest that their visual abilities may play a role in dynamic behaviors, including competitive interactions, high-speed courtship displays, and insect foraging. "This study provides compelling support for the hypothesis that the avian brain is specialized for flight and that hummingbirds are a powerful model for studying stabilization doink-head," Gaede says. Gaede says her next step is to investigate the response properties of other nuclei involved in this visual motion-processing pathway, with the ultimate goal of understanding how neural activity in the hummingbird brain is translated into specific flight behaviors. almost every neuron we found was tuned to a different direction. On the question of magneto-reception in insects...??? An international team including researchers at the university of Edinburgh and Antoine Wystrach of the Research Centre on Animal Cognition (CNRS/Université Toulouse III -- Paul Sabatier) has shown that ants can get their bearings whatever the orientation of their body. Their brains may be smaller than the head of a pin, but ants are excellent navigators that use celestial and terrestrial cues to memorize their paths. To do so, they use several regions of the brain simultaneously, proving once again that the brain of insects is more complex than thought. The researchers' findings were published in Current Biology on January 19, 2017. Until now, ethological research suggested that ants memorized the scenery perceived along their route as it is projected on their multifaceted retinas -- thus using a body-centered, or egocentric, frame of reference. By this hypothesis, to recognize memorized surroundings and follow a path formerly traveled, ants would need to orient their bodies in the same way each time. But they sometimes need to walk backwards as well, and this doesn't prevent them from finding their way back to their nest. Could it be that ants can recognize a route when facing the opposite direction? 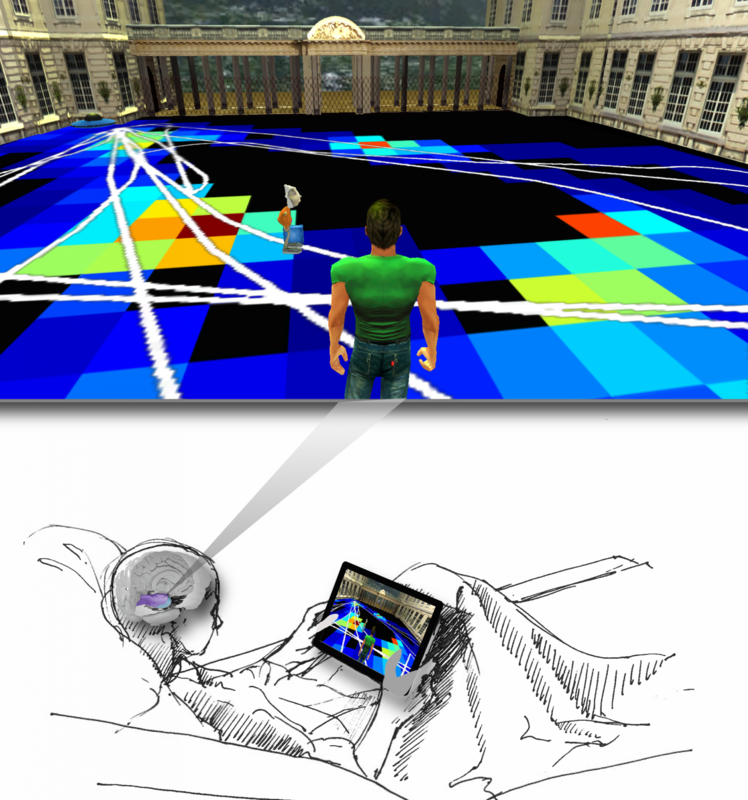 Are they able to create a visual model of their environment that is independent of their body orientation? They also exhibited unexpected behavior: After walking backward a bit, they would occasionally drop their crumb, turn around, observe the scenery while pointing their bodies in the right direction, return to the crumb, and resume towing it backward -- but this time in the correct direction. For these ants, body alignment thus seems necessary for recognition of scenery perceived by their retinas, but they are then able to memorize the new bearing and follow it backward. This behavior also shows that they can recall the existence of the dropped cookie crumb, and its location, in order to return to it after updating their bearing. These observations imply that at least 3 kinds of memory are working in unison: the visual memory of the route, the memory of the new direction to follow, and the memory of the crumb to retrieve. Through another experiment using a mirror to reflect the sun1, the team demonstrated that the ants used celestial cues to maintain their bearing while walking backwards. Furthermore, ants were able to move in straight paths, whether walking forward, backward, or sideways. Once a bearing is memorized, they stay on it no matter how their bodies are oriented. Together these observations suggest that ants register direction using an external -- or allocentric -- frame of reference. 1 This is a variation of an experiment performed over 100 years ago by Félix Santschi, who used mirrors to change ants' perception of the sun's location. CNRS. "Ants find their way even when going backwards." ScienceDaily. ScienceDaily, 19 January 2017. <www.sciencedaily.com/releases/2017/01/170119125404.htm>. I don't know about Magneto Receptive Humans??? I can Vouch for the mental mapping of the environment and where I Am in relation to it. This summer I had to remove a carpenter ant infestation in roof rafters of the storage shed. The damage they did and the water damage took weeks to repair. I could take the vacuum cleaner and hose hundreds of them away into ant oblivion. They were all scurrying away with carpenter ant eggs as fast as possible. I saw many times the ants moving backwards into holes with ant eggs. and then looked straight up at my face in an odd pose, in a very unusual behavior. The ant wanted to see or perceive what was causing the ant genocide that it was witnessing. Instead of a nice piece of black Jadite, please send me some of those very NICE mushrooms you find on your juants...would certainly pay some $ for some Mind-Ant 'experiences'. Generating materials that can harness the power of the sun to make a combustible fuel such as hydrogen, which would have no carbon footprint, represents an extremely attractive pathway to new clean energy sources. Without alternatives to fossil fuel, we are committed to steadily increasing the concentration of carbon dioxide in the atmosphere and the oceans, with the attendant deleterious effects on greenhouse gas accumulation in the atmosphere and ocean acidification. By taking advantage of the compositional precision, purity, and low defect densities found in oxide films prepared by molecular beam epitaxy, the team showed that an unusual semiconducting phase, which is ferrimagnetic well above room temperature and absorbs light in the visible portion of the solar electromagnetic spectrum, can be stabilized on magnesium oxide (MgO(001)) substrates. Having shown that chemically modified magnetite (Fe2CrO4) meets the basic criteria required for an air stable, visible light photocatalyst, the investigators plan to carry out experiments in which they will transfer freshly grown Fe2CrO4 surfaces to a photoelectrochemical cell under a dry nitrogen atmosphere to avoid picking up surface carbon contamination. There they will measure the photocatalytic activity for the oxygen evolution and hydrogen evolution reactions, as occur when light energy is successfully used to break water down into useable fuel. For a supermassive black hole that's so close to us, we still have a lot to learn about Sagittarius A* (Sgr A*), the singularity in the center of the Milky Way. As astronomers work to learn more about the environment it, a new paper in Astrophysical Journal Letters makes predictions about what would happen to young, highly magnetized stars in Sgr A*'s vicinity. It's the first time a star's magnetic field has been included in simulations where a black hole tidally disrupted a star, meaning the star is pulled apart and stretched. "Magnetic fields are a bit tricky numerically to simulate," James Guillochon, an astrophysicist at the Harvard-Smithsonian Center for Astrophysics, told Seeker. In the past, it's been hard to put magnetic fields in context with other influences on a star, such as gas pressure and gravity. This is especially true towards the boundary or atmosphere of the star. The simulations show that if a star gets a "glancing blow" from a black hole, it can survive the encounter and its magnetic field amplifies strongly, by a factor of about 30. But if the star gets very close to the black hole, the star is tidally destroyed and the magnetic field maintains its strength. A Hubble Space Telescope infrared view of the center of the Milky Way galaxy. The inset shows X-rays in the region around Sagittarius A*, the supermassive black hole in the galaxy's heart. "One of the immediate impacts is that we might see highly magnetized stars in the centers of galaxies, and that includes our own galactic center," Guillochon added. "We also would expect this to affect the resulting flare that arises from the disruption of the star by the supermassive black hole. Half the matter of the star falls on to the black hole and feeds it, and that generates a luminous flare of a billion or 10 billion solar luminosities." A star disruption should theoretically be visible in our own galactic center, but Guillochon says that only happens about once every 10,000 years or so. Luckily, the stream of the disrupted star can persist for centuries, feeding the black hole. Guillochon co-wrote a paper a couple of years ago about G2, a gas cloud falling into the galactic center in 2014 that produced far less activity than expected. It suggests that G2 could have been produced by the disruption of a red giant star, and its gas envelope is still feeding the black hole today. He suggested that G2-like clouds would form by "clumping up" due to cooling instabilities, which would put regular deliveries of a G2-type cloud once every decade. When the material is highly magnetized, co-author Michael McCourt has previously suggested that the fields can help stabilize the clouds and prevent them from breaking apart. If the pattern holds true, highly magnetized clouds would continue to pass near the black hole over the next several decades. That said, the challenge of learning about stars that survive disruption in the galactic center is they tend to be lower mass and hard to see. How many of them are magnetized, and how strongly, remains an open question, Guillochon said. 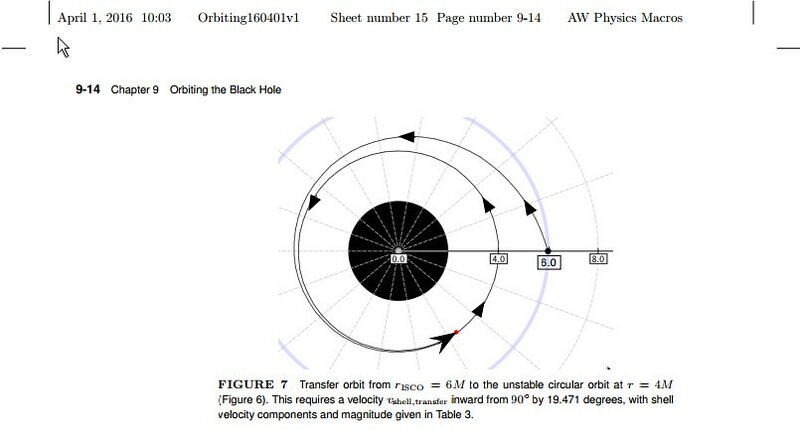 Below is a short animation simulating a star's magnetic field being torn apart by a black hole. These desert ants live in salt pans and are ideal models for navigation research. When they set out in search of food in their flat, bare, hostile environment, they are nevertheless always able to find their way back to their nest on the shortest route possible. They have an internal navigation system. The ants measure the distance they have gone by recording how many steps they have taken -- and they use the sun for directional orientation, taking into account its movement over time via their own internal clock. A team of researchers led by Dr. Matthias Wittlinger of the University of Freiburg developed a tiny treadmill, on which the ants behave just as they do in the wild. "This gives us almost unlimited possibilities to test the mechanisms and neural basis of our model animal's spatial orientation and navigation -- in the laboratory," says Wittlinger. 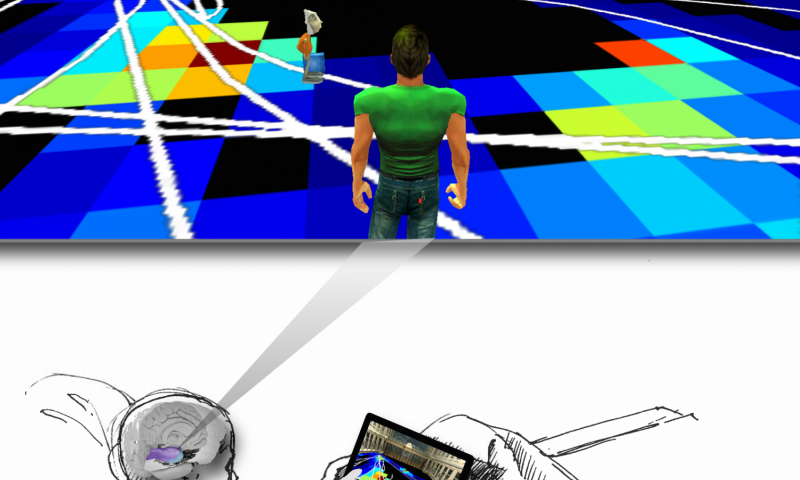 "We can place the ants in a virtual world and incorporate certain changes into it to see how they react." The the experiments are expected to yield information which will be useful in the development of autonomous robots as well as in other areas. The team of biologists published their results in the Journal of Experimental Biology. Quote: The findings add eels to a growing list of animals, including salmon and sea turtles, with the ability to navigate based on a magnetic "sixth sense." Each year, young European eels make their way from breeding grounds in the Sargasso Sea to coastal and freshwater habitats from North Africa to Scandinavia, where they live for several years before returning to the Sargasso Sea to spawn and then die, beginning the cycle again. Now, researchers reporting in Current Biology on April 13 have new insight into how the young eels make such a remarkable journey. They do it thanks to a built-in ability to detect slight differences in the earth's magnetic field. This "map sense" helps them swim in the direction of the Gulf Stream, the ocean current that transports them to Europe. "We were not surprised to find that eels have a magnetic map, but we were surprised to discover how well they can detect subtle differences in magnetic fields," says Lewis Naisbett-Jones at the University of North Carolina, Chapel Hill. "We were even more surprised when our ocean simulation models revealed that the little eels use their map not so much to locate Europe, but to target a big conveyor belt—the Gulf Stream—that will take them there. Presumably, a little bit of work (i.e., swimming) helps increase their chances of catching a mostly free ride to their destination." To show that juvenile eels detect magnetic fields and modify their behaviour accordingly, Naisbett-Jones along with Nathan Putman of the University of Miami and their colleagues used a "magnetic displacement" experiment. They built an experimental apparatus that allowed them to create magnetic fields that exist at different locations along the eel's oceanic migratory route. They then placed young eels inside the apparatus and recorded which direction they moved in each magnetic field. Eels exposed to magnetic fields that exist at two locations along the migratory pathway oriented in different directions, the researchers report. To investigate how this movement might affect their migration, the researchers relied on computer simulations of ocean currents. Those simulations showed that if young eels swim even weakly in the directions the researchers observed under their experimental conditions, many more of them would successfully enter the Gulf Stream, and therefore reach Europe. The findings add eels to a growing list of animals, including salmon and sea turtles, with the ability to navigate based on a magnetic "sixth sense." The findings might be used to better predict shifts in the eels' migratory routes and thus variability in recruitment and catch of European eels, which represent one of Europe's most important fisheries. Putman and Naisbett-Jones say the next challenge is to test whether adults use a magnetic map, as well, to help them relocate the Sargasso Sea. Compare: RE: A Sixth Sense? Magneto Receptive Humans?? Quote: Whereas humans can look at a complex landscape like a mountain vista and almost immediately orient themselves to navigate its multiple regions over long distances, other mammals such as rodents orient relative to physical cues—like approaching and sniffing a wall—that build up over time. You're gonna hate me, EA but I'd love to introduce this maverick to some mavericks who thought the same maverick thing 25 maverick years ago. Remember, kids - Uncle Sam is depending on your short-term memory loss! One day I was just out there in the potting shed just minding my own damn business potting up some Compass Plants and I get to thinking, "What kind of damn fool weed have we got here that's always trying to point north and south?" and next you know another maverick was born. Current time: 04-20-2019, 11:31 AM Powered By MyBB, © 2002-2019 MyBB Group.